Previously I shared a gadget which represents welcome message on your blog to welcome visitors, in this post 101Helper brought a new gadget for those who love music and want to add a music player to their blog. This gadget lets you to share as many songs as you want( upload unlimited songs) and let your visitors to enjoy songs while surfing your blog. This gadget is made by podsnack. Add your music to your playlist. Customize your music player to your tastes. Get HTML code of your music player and add it to your blog or website. Its very easy to create playlist with podsnack and you don't need any hosting place to host your songs because podsnack will host your mp3 files and enable you to add music playlist to your blog or website or social networking page for free. Upload unlimited songs to your music player. Share songs on your blog by add music player. 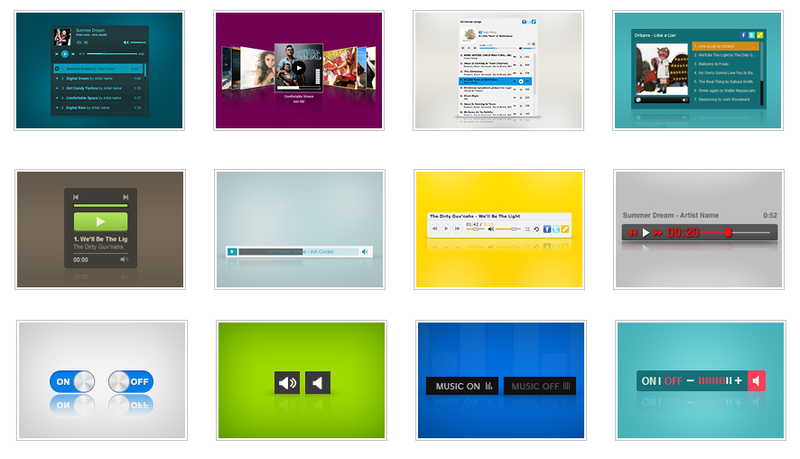 More than 10 music player skins. When you upload songs to your podsnack account your music player adds them to your playlist and can be played easily by clicking play, You can add songs to playlist from Youtube, Dropbox or directly from your computer(for premium users) and also delete songs from playlist. 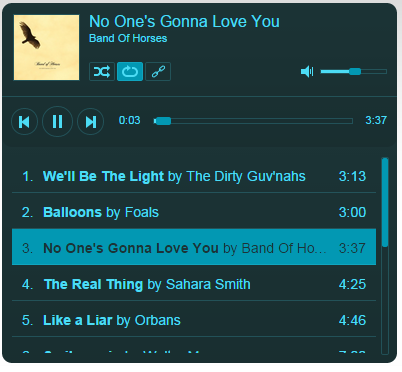 How to add music player to blog? (1). Go to Podsnack and create an account. (2). Login to your account, create a playlist and customize your player skin and other options. Note: If you are not a premium user then use Youtube or Dropbox option to add songs and if youtube is band in your country then use Dropbox because adding music by proxy website will not work as music is played embed. (4). Copy the code and go to blogger dashboard. (5). Click Layout and add a gadget. (7). Open your blog to see your music player. I hope this gadget is useful for you, share your opinion, suggestions and experience by leaving comment below, follow and subscribe o get let updates about new gadgets in your inbox. Tags: mp3 player for website, mp3 player for blogger, gadgets for blogger, music player embed, how to tutorials for blogger, How to add music player gadget to blog, 101Helper new gadgets and widgets for blogger. Not Free! the Free player only allowed 5 songs in the playlist... don't try a Free player, its a business promotion.